Full Disclosure: The tools I’ll be linking to below can be bought through my affiliate programs DickBlicks.com and Amazon.com. Making purchases using these links will help me raise funds to power this website through commissions! These are the tools I use and I’m perfectly happy using them. Most of the time I’d encourage you to buy these things at your local art shop to save on shipping but Blick’s and Amazon do have great discounts online and for art students everywhere, that makes a difference. 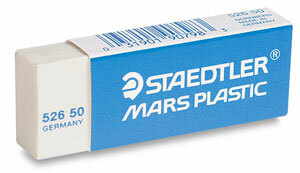 I will swear up and down the street – Staedtler Mars Plastic Eraser is the only large eraser I have ever used. My art teacher from college loved it as well. Their Retractable Eraser is also wonderful for erasing tiny details, perfect for someone like me who tends to draw on the small side. 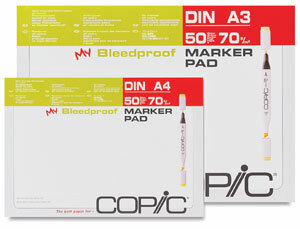 Copic Sketch Markers are pricey! 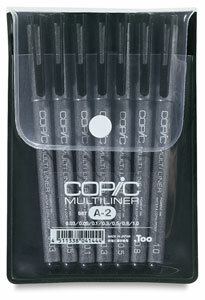 (Especially in a big ole 72-Color Marker Set just like the one pictured above) But just imagine the chaos I lived through buying Copics individually for years because I had no idea they were sold in sets. I recommend starter sets for beginners. At least you’ll have neat containers for them. Nowadays, I just use a makeshift Office Depot Desk Organizer to keep my set in. 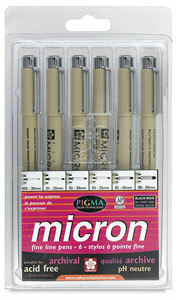 Sakura Pigma Micron Pens and Copic Multiliner Pens are interchangeable to me. I was given a set of Sakura Microns and they worked fine. I’ve never tried the Manga Drawing Set or the Comic Pro one. They don’t look that much different to me but if you don’t happen to have a good mechanical pencil yet, maybe it’s worth a shot. I was so happy to have stumbled upon Copic Marker Pads at my local Blicks. Working with copics, you usually have a hard time blending on regular copy paper but these guys handle them just fine. Canson Marker Paper probably work just as well. 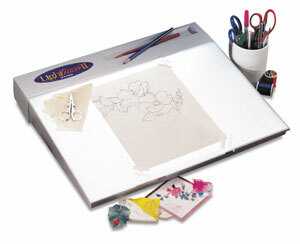 I caved in and bought an Artograph Lightracer Light Box after ruining yet another illustration by erasing pencils under ink. I love it and it’s kept my inks pristine since. The one I have is 12″ × 18″ and accommodates my usual paper sizes. Wacom Tablets are definitely an investment. 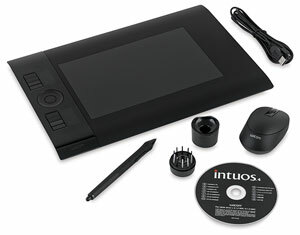 It is entirely possible to create illustrations and pages using traditional tools however, Wacom Bamboo Tablet is a great ergonomic alternative to a mouse and a good investment for a beginning digital artist.